When you think of Queen Elizabeth’s grandkids, Prince William and Prince Harry surely come to mind. Nevertheless, the princes only make up two of the Queen’s eight grandchildren. You’ve likely seen photographs and read a few stories about some of the lesser-known royals, like Princess Eugenie and Beatrice, but the further removed from the throne, the more obscure the royals tend to become. Although they will likely never rule, their lives are plenty interesting. This is especially true of Princess Anne’s daughter, Zara Tindall (née Phillips). Her story is compelling for a number of reasons: her stance on royalty, her rebellious teen years, her incredible career, and even her views on motherhood. Although she was raised by a princess — the Queen’s only daughter — you’d have a hard time believing it. She may have had the benefits of being raised alongside royalty, but she’s incredibly grounded. 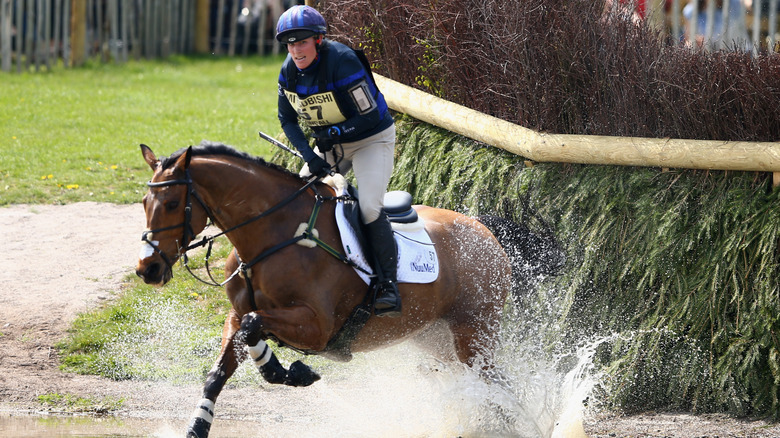 Here are some things you ought to know about Zara Tindall. On May 15, 1981, Princess Anne, along with her husband, Captain Mark Phillips, welcomed their second child (and first daughter) from St. Mary’s Hospital in Paddington. The couple decided to name her Zara Anne Elizabeth Phillips. Although it’s easy to pinpoint the inspiration for the middle names — Anne after the baby’s mother, Princess Anne, and Elizabeth after the baby’s grandmother, Queen Elizabeth — the first name is quite unusual. According to Hello!, the baby’s uncle, Prince Charles, was actually the one who suggested it to his sister. While many of us, as children, may have dreamed of what life would be like as a princess, it may be hard to imagine someone actually feeling “lucky” to not be a princess. 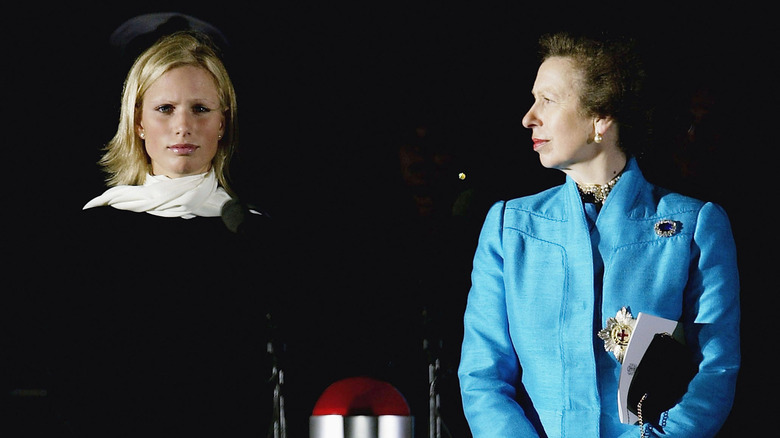 Surely, though, Princess Anne knew all the pros and cons of the princess life and determined she didn’t want what it entailed for her daughter. 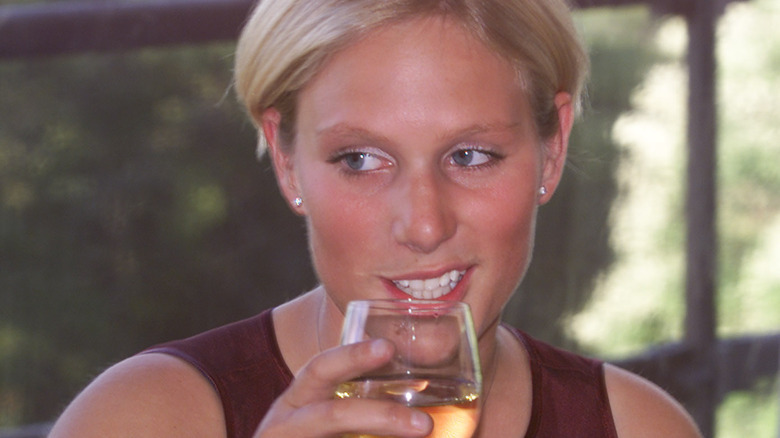 In 1998, Zara Tindall — who at that time was known by her maiden name, Zara Phillips — showed up to Prince Charles’ fiftieth birthday party with her tongue pierced. That’s right — the Queen’s granddaughter rocked a body piercing. Tindall was but 17 years old and on summer break from boarding school, Chicago Tribune reported. Since Tindall is, and has nearly always been, involved in sports, her father attributes her wildness to the “sporting life.” Though, that doesn’t mean she’s a party animal. When asked if she gets “slaughtered,” a Britishism referring to getting sloppy drunk, she objected. Her father explained the impact drunkenness would have on his daughter’s sporting career, adding, “Getting slaughtered is not an option but it doesn’t mean to say you can’t go and have a beer or two.” All things in moderation, right? When Princess Anne was a teenager, she started getting interested in horseback riding, BBC reported. By 1971, when she was in her twenties, she had already won eventing titles and was named BBC Sports Personality of the Year. A few years after marrying Captain Mark Phillips, she also went on to compete at the Olympic level in Montreal. Phillips, too, has an interest in horses, which is how the couple first met. In 1972, he won gold at the summer Olympics in Munich, Germany. That same love of horses may very well be in Tindall’s blood. According to Financial Times, Tindall started riding horses as soon as “she was old enough to sit on a saddle.” Some 35 years after her mother was selected as BBC Sports Personality of the Year, Tindall went on to earn the title as well. It’s not exactly a royal title, but it is certainly a well-earned accomplishment. Like her parents, Tindall also went on to participate in the Olympic Games — London 2012 — winning a silver medal; according to Hello! Magazine, she became the first “royal” to win an Olympic medal.